One for ‘Shoe on the other foot’! Now, this story is so much more dodgy than the headline sounds, since the Japanese workers in question were working for a Japanese company’s call-center in the Philippines (normally this kind of ‘off-shoring’ is done to take advantage of lower labor costs, so why would they want to import Japanese staff to do the job?). In any event, let’s see how this ISN’T used as an example of ‘evil visa-status breaking gaijin!’ OOPS! 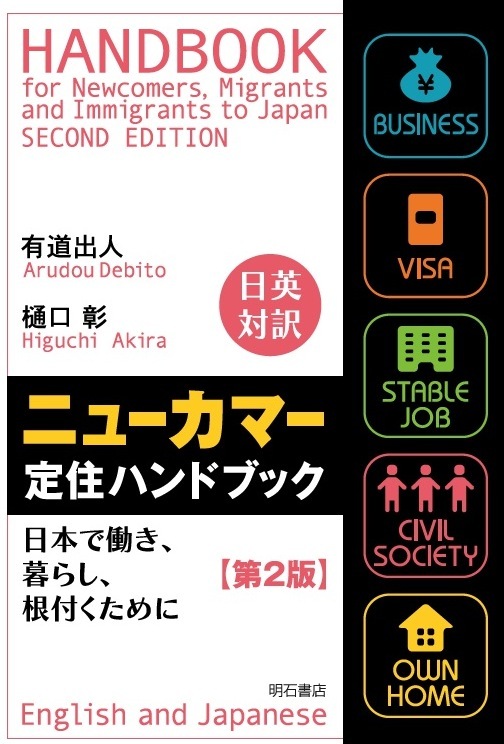 Visa-status breaking Nihonjin! 2. Japanese robber so fazed by being confronted FULL STOP, that he leaves the scene of the crime. 3. When story is reported, Japanese netizens as stunned as the robber that an NJ refused a demand made by a Japanese (even a robber), and assume that the NJ *could not possibly have understood the instruction he was given*. 4. 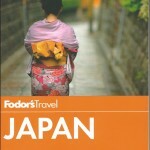 #3 overlooks the fact that the NJ has a good enough command of the Japanese language to be employed in a Japanese store. Really? Since when was Japan colonized by Western nations? Even after Commodore Perry sailed into Edo Bay, the Japanese were still in charge of Japan. The Historical Science Society of Japan has denounced Japanese Prime Minister Shinzo Abe’s statement released last month upon the 70th anniversary of the end of World War II. In a statement issued on Monday, the leading organization of Japanese historians noted that Abe’s statement said Japan realized modernization and maintained independence amid fears of becoming subject to Western colonialism in the 19th century. The organization said, however, that the statement ignored the fact that Japan violated Korea’s sovereignty and colonized Taiwan. On the Russo–Japanese War, the historians said Japan violated the human rights in countries that were not involved in the war, adding that Japan disregarded Korea’s declaration of neutrality and forced Seoul to sign the Japan–Korea Treaty of 1904. The historians said Abe’s statement did not mention such facts and gave the impression that the responsibility for colonialism lies originally in Western countries, thus seeking to dilute Japan’s responsibility. I’m glad the Koreans don’t forget reality the way Japan is allowed to by the rest of the ‘democratic’ world who don’t want to confront their own role in subverting democracy in post-war Japan, and complicity in allowing right-wing Japanese elites to continue their evil agenda for the last 70 years. ‘A broken clock is right twice a day’, as the saying goes, and in that respect, the ‘democratic’ powers should be ashamed of themselves that the role of being able to force Japan not to forget falls to China. It’s interesting that the Asian Co-Prosperity Sphere only came into existence in with the Greater East Asia Conference in Tokyo in November 1943 (attended by puppet leaders of Korea and occupied China, and leaders of movements against British rule in Burma and India). It was a small conference, with self-appointed leaders in exile, or leaders chosen by Japanese invaders. Most interestingly, is that November 1943 is the first time that the term ‘Asian Co-Prosperity Sphere’ is used! See now how right-wingers distorted understanding of history would have us believe that it was the explicit aim of Japanese expansion since 1905, when in reality it was desperate attempt by the Japanese to drum up legitimacy and support for the battles it was fighting in Thailand and Burma, with the goal of cutting the supply chain from the Allies in India, to Chiang Kai-Shek in China, thus forcing Chiang to capitulate, and allowing half a million Japanese troops to be redeployed against the US in the Pacific Island campaign. In short, it never crossed the minds of the Japanese that they were ‘liberating Asia’ until it became clear to them that they were losing the war. You know, there’s a reason why Germany has much better relations with her immediate neighbors—both east and west—against whom she fought in World War II, than Japan has with South Korea, China, or the Philippines. Just food for thought. The real story here isn’t that this guy is part of the ‘dangerous gaijin crime wave’, but that the police took him into custody, and despite all their draconian police state powers, allowed 6 murders to happen due to stupidity. It’s no wonder that NJ would leave after a disaster if they were left to fend for themselves whilst the authorities denied them even warnings. @ Edward, do enlighten us why Japan has not had as good relations with its neighbors as Germany. I ll add that as part of my history degree I examined Japanese “reparations” and “aid” to postwar East Asia, and found it to be a COMPLETE SHAM. As with Okinawa, most Japanese investment flows back to Japan and little benefits the locals. @ Jim, Kiyoshi Miki the dissident had a hand in creating the concept of “Greater East Asia Co Prosperity sphere” Quote “An earlier, influential concept was the geographically smaller version called New Order in East Asia (東亜新秩序 Tōa Shin Chitsujo), which was announced by Prime Minister Fumimaro Konoe on 22 December 1938 and was limited to Northeast Asia only.Wikipedia. Miki became depressed when the military hijacked the concept, as you say, later. Another J-SHAM. J police got” a tip about a man mumbling at a fire station.” Wow, I mumble all the time. And I hum or whistle. I suppose thats ammunition for the snitchers that there is a “suspicious, fumajime gaijin” on the loose. Mumbling profiling, what next? 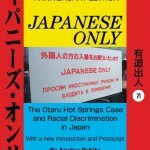 The J-police still refuse to make clear the ancestry and the visa status of Nakada Jonathon. Was he ‘Nissei’ who entered the country to work under a much more relaxed visa scheme due to his ‘Japanese blood’? I guess they don’t want to talk about that. I guess they don’t want to claim him as Japanese, despite his ancestry, whereas they were quite happy to take Peru’s Fujimori (I guess all the people he killed weren’t Japanese, so they didn’t call him ‘gaijin’ and disown him?). ASSUMED (!) to be NJ! Well, you know what they say, ‘Assumption is the mother of all mistakes’. Shouldn’t the J-police be in the business of ‘investigating the facts’ (as it’s known in the west), rather than ‘filling in the blanks with prejudiced guesswork’? What are the police trying to do? They are deliberately misleading the media, with information that may or may not be relevant, consisting of unproved guesses, that imply that there is a wide NJ conspiracy to stab Japanese people. Irresponsible police work. Irresponsible reporting (why didn’t the journalist challenge the police on that?). Based on the news report, he was working at a local deli factory for a short term. He probably came to Japan under the status that would allow him to stay minimum 90 days– eligibility to obtain New Residence Card. That includes work-visa scheme. I’m not gonna make any speculation on his work eligibility, though. No doubt the news shocked so many people, in addition to the fact that his brother was a notorious serial killer in Peru. I’m still shaking my head over the consequence driven by individual’s bad choice and lacking support for psychological depression. Hi Dr. D., Long time no comment. I stumbled across this today, so an FYI for you. New, compulsory ‘My Number/Mai Namba-‘ system gives J-police instant, on-demand, access to your bank account activity with no over-sight (in fact, it will give them access to everything, medical records, taxation, shopping habits, etc). Now, since Japan has become a paranoid, xenophobic police state (as a direct function of National Police Association propaganda intended to deflect from it’s inability and unwillingness to tackle organized J-crime, whilst needing also to justify endless resource increases), am I seriously to believe that the J-police won’t actually have offices of officers whose sole job will be to constantly monitor my ‘Mai Namba-‘ usage for any signs of something they could criminalize? Remember, a couple of weeks ago I posted on Debito.org that the public were being encouraged to ‘rat out’ NJ who even only seem to be in any type of visa contravention *even if the person ratting you out doesn’t actually know what your real visa status is* so that it can be investigated. Well now the J-police will be legally entitled to bust into your privacy, and nose around whatever they want, whenever they want, and if you don’t like living with the constant fear of being detained by the J-police, you can go home, I guess? And let’s not forget that the Abe government’s new Japanese spy agency announced after IS cut those guys heads off, will be under the purview of the NPA and staffed by the J-police. They will only be able to search for ‘terrorists’ in Japan, and they will have to find some to prove that they are *doing their job (more ¥ please)*. I want to see Japan hunt down and convict some Japanese war criminals. THEN I’ll believe that Japan is really ‘sorry’. With German Chancellor Merkel vowing to accept any Syrian ‘migrants’ who reach Germany (in the tens of thousands since August), in order to address Germany’s looming demographic shortfall, Abe is reportedly ready to announce that Japan will accept ‘dozens’ of Syrians! That’s very big of Abe! ‘Dozens’ represents a massive improvement over the 11 refugees Japan accepted last year, but will ‘dozens’ be enough to counter Japan’s demographic time-bomb? Also, notice that Abe isn’t reportedly going to promise to take dozens of refugees, but rather ‘dozens of Syrian students’. That’s a massive difference! What happens after they graduate? Will he let them do KKK jobs, or will they be ‘intern’/slaves? Thanks (again) for NOTHING Abe. More fascist Abe double-speak at the UN! 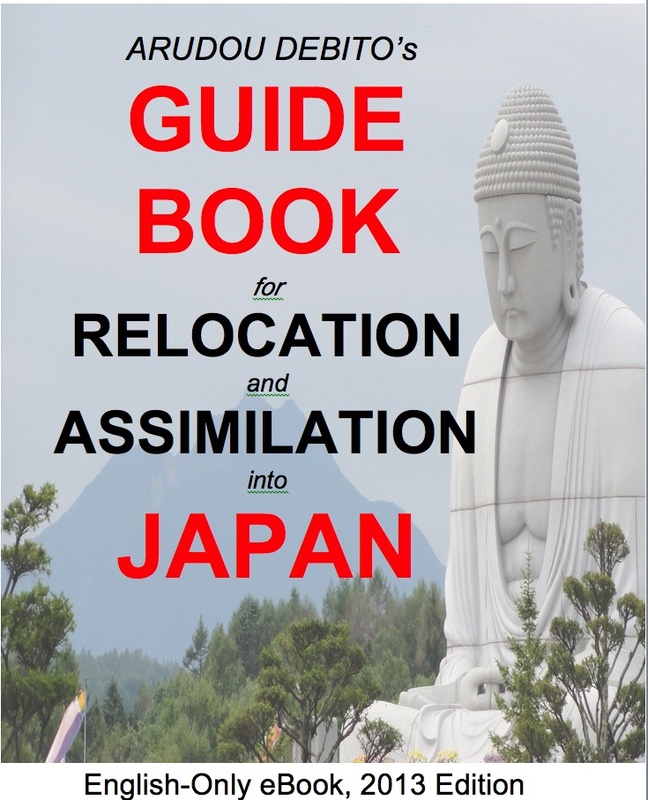 Japan can’t take refugees because we have too many old people and not enough children, and until Japan’s demographic problem is fixed, it can’t accept immigration (which is to say, until immigrants aren’t needed, Japan has no plan to accept them). He, however, did not offer a fresh apology of his own, saying instead that Japan has repeatedly expressed deep remorse and heartfelt apologies for its actions during the war. “This statement is disappointing and misses a huge opportunity both to educate Prime Minister Abe’s own supporters and to reassure other countries,” said Dennis Blair, who heads the Sasakawa Peace Foundation USA, in a statement on the foundation’s Website posted on Aug. 14. Blair, the former Director of National Intelligence, also said that Abe’s statement fell far short of the Murayama statement in helping Japan face its own history squarely. “The rambling Abe statement is more of a legal brief, trying to cover too many subjects,” Blair said. Blair was also the head of the U.S. Pacific Command from the late 1990’s until his retirement in 2002. He now serves as the chairman of the foundation that was established by Ryoichi Sasakawa, a Japanese businessman and suspected war criminal, as the Nippon Foundation in 1951. I can see his resignation or his position terminate and replace in a few days if this news somehow reached Japan. I also saw that on the BBC news yesterday, I too couldn’t stop laughing. So after hundreds of years they still have not come up with a policy and system to look after their own citizens as other “developed” counties have and used as a comparison (Just as Abe is attempting)…..and yet, clearly in no rush to fix something they consider is not broken anyway, and then use this as an excuse to not take in refugees…..did anyone at the UN keep a straight face I wonder? “Unfortunately, fame is a fickle thing. Unable to secure commercial success or a new work visa, Himeka had to return to Canada in 2014, even as she wistfully stated she wanted to remain in Japan forever. A year later, though, she’s singing a very different tune, tweeting that she “probably shouldn’t have come to Japan” in the first place and regrets her time in the country. So yes, if you are a non-Asian NJs and you want to seek a singing career in Japan, I would recommend not doing that.